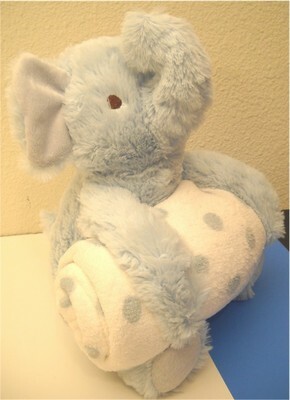 1) Elephant plush with soft white blanket with blue poke-a-dots. 2) Chicken plush with a yellow blanket with brown dots all over it. 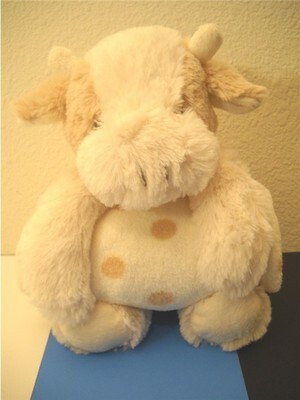 3) Cows plush with a cream color blanket and brown dots. Give us your Blanket choice when you send payment. PLEASE CHECK OUT THE OTHER ITEMS WE OFFER AT GREAT SAVINGS!! Unbeatable deals ... Everything Goes!! We use USPS Shipping as it&apos;s the fastest and cheapest way to ship. You may request Priority Mail with additional shipping charges. Thank You for visiting us here on Atomic Mall and Hope you ve Enjoyed your Shopping Experience with us! !